We use our own "cookies" and third parties to improve our services. If you continue browsing we understand you accept its use. You can change the settings or get more information here. You will get 5% OFF for subscribing to our newsletter. This document contains the Usage Conditions that govern the use of this website, hosted under the domain www.benesjewels.com, as well as any other that may be determined and the contract that binds us both, BENE’S ARTESANS, – you and us – (hereinafter referred to as the “Conditions”). These Conditions establish the rights and responsibilities of all users (hereinafter referred to as “you”/”your”) and of BENE’S ARTESANS (hereinafter referred to as “us”, “we” and “our”) as regards browsing the website, acquiring the condition of User, the rights and responsibilities associated with said condition, as well as the commercial transactions and usage of services included in the same. By using this website, you are bound to these Conditions of Use, Conditions of Sale and Legal Notice, so we recommend that you read these Conditions carefully. If you do not agree with them, you must leave the website. 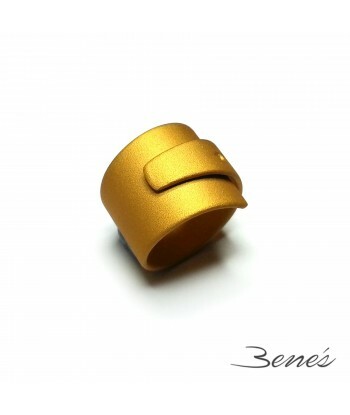 All products offered on www.benesartesans.com are sold directly by “BENE’S ARTESANS”, headquartered at Calle Rauric 8, 08002, Barcelona (Spain), holder of tax ID number 18000588Y, and e-mail contact: info@benesjewels.com. This Website, as well as the Content, Services and elements comprising it, are subject to intellectual and industrial property rights, and are the exclusive property, and are under the control of, BENE’S ARTESANS, being protected, without limitation, by Spanish intellectual and industrial property laws and by international treaties and conventions that might be applicable. BENE’S ARTESANS is the sole owner of all intellectual and industrial property rights and similar that may apply to the Website. In addition, all rights are reserved by BENE’S ARTESANS to any Content, Services or elements it owns that are incorporated in the Website, including, merely by way of example and not limited to: elements that make up the visual appearance, graphics and other sensory stimuli, the browsing architecture, photographs, recordings, computer programs, databases, technology, logos and distinctive symbols, designs, images and source codes of the web pages. This Website is property of BENE’S ARTESANS. The intellectual property rights and rights of use and reproduction of this website, its pages, screens, information they contain, their appearance and design, as well as links (hyperlinks) that may be established from it to other websites of any subsidiary and/or acquired company of BENE’S ARTESANS, are exclusive property of BENE’S ARTESANS, unless expressly specified otherwise. Any name, design and/or logo, as well as any product or service offered and shown on this website, are trademarks duly registered by BENE’S ARTESANS, by its subsidiaries and/or acquired companies or by third parties. Any misuse thereof, by persons other than their legitimate owner and without the express and unequivocal consent by that owner, may be reported and pursued through all legal means existing in the Spanish and/or EU legal system. Intellectual property rights and trademarks of third parties are conveniently highlighted and must be respected by anyone who accesses this site, BENE’S ARTESANS not being liable for the use that the user may make of them, and this person being solely liable. Downloading content, copying or printing any page of this website is permitted solely for personal and private use. It is prohibited to reproduce, transmit, modify or delete the information, content or warnings from this website without the prior written permission of BENE’S ARTESANS. The terms and conditions set out below regulate access and use of web pages of BENE’S ARTESANS, and their domains, subdomains and subdirectories (the Website), owned by BENE’S ARTESANS. Access to the Website and use of its content and services implies full and unreserved adherence to the Terms and Conditions set forth in the version published at the time the user accesses the site. If the user decides not to accept the prevailing Conditions, he/she must abstain from accessing the Website and/or using the content and/or available services therein. The aim of these Conditions is to regulate access and use of the Website. for ends or purposes that are illicit, prohibited or harmful to the rights and interests of third parties. BENE’S ARTESANS declines any liability that may arise from the foregoing. The user acknowledges and accepts that use of the Website and Content and/or Services therein shall be made for strictly personal, private and particular purposes. It is expressly forbidden for users to authorize full or partial use of the Website to third parties or to enter and/or incorporate the Contents and/or Services therein as, or into, their own business activity. BENE’S ARTESANS assumes no liability arising from the improper, inappropriate or illicit use of information appearing on the Web pages of BENE’S ARTESANS. Within the limits established by law, BENE’S ARTESANS assumes no liability resulting from the lack of veracity, integrity, updating and accuracy of the data or information contained in its Web pages. The content and information on the Website are created by professionals who are properly qualified for the exercise of their profession. However, the content and information are not binding to BENE’S ARTESANS, nor constitute opinions, guidance, or legal advice of any kind, as they merely deal with providing a service of an informative nature. BENE’S ARTESANS is not liable for any direct or indirect damages that the accuracy, completeness, or veracity of such information may cause, or for the use of the content or elements of this website. BENE’S ARTESANS Internet pages may contain links to other websites of third parties. Therefore, BENE’S ARTESANS cannot take responsibility for the content which may appear on third-party pages. The texts, images, sounds, animations, software and other content included in this website are exclusive property of BENE’S ARTESANS or its licensors. Any act of transmission, distribution, cession, reproduction, storage or total or partial public communication must have the express written consent of BENE’S ARTESANS. BENE’S ARTESANS is not liable for Websites belonging to others which may be accessed through links, the content of these external websites, any other matter in connection with them or any content made available to third parties. Any use of a link or access to a website not owned by BENE’S ARTESANS shall be conducted at the sole risk and responsibility of the user. BENE’S ARTESANS does not recommend or guarantee any of the information obtained by or through a link, nor is it liable for any loss, claim or damage arising from the use or misuse of a link, or the information obtained through it, including other links or websites, the interruption in service or access, or attempt to use or misuse a link either by connecting to the BENE’S ARTESANS website or accessing information on other websites from it. BENE’S ARTESANS runs a blog on our own website. BENE’S ARTESANS not responsible for third party comments on that blog entries. If we detect any illegal action, derogatory, or misuse, action will be taken ASAP. However, BENE’S ARTESANS is not responsible for content made by third parties. The company reserves the right to modify the contents of the blog without notice. BENE’S ARTESANS website uses links to some social networks (Facebook, Twitter, Pinterest and Instagram). These pages are subject under legislation specific to each of the platforms, BENE’S ARTESANS therefore assumes no liability. The user has the option of preventing the creation of cookies by selecting the appropriate option in their browser program. However, BENE’S ARTESANS is not responsible for the disabling of cookies impairing the smooth functioning of the website. On the one part, BENE’S ARTESANS, through its trademark BENE’S ARTESANS (hereinafter, BENE’S ARTESANS) with registered office at Calle Rauric 8, 08002 Barcelona (Spain), and with ID Code No. NIF: 18000588Y. And, on the other part, any person placing an order (hereinafter, the CUSTOMER). Delivery of orders shall be carried out on Spain and abroad. These terms and conditions apply only to consumers, and in no event is the resale of purchased items allowed. Placing an order implies acceptance of these Terms and Conditions by the CUSTOMER, as well as any other terms specified in the order itself. These Terms and Conditions are intended to define the terms of sale between the CUSTOMER and BENE’S ARTESANS for ordering, delivery and payment, as well as the after-sales service. Online, by following the procedure set out on the website www.benesartesans.com. To complete his/her order, the CUSTOMER must provide the personal data as requested by the above procedure. The placing of the order by the CUSTOMER implies full and complete acceptance of prices, descriptions of the items on sale and the Terms and Conditions of Sale, as well as any other terms specified in the order itself. BENE’S ARTESANS shall inform the CUSTOMER, as soon as possible, of any unavailability of ordered items. You accept that the products offered by BENE’S ARTESANS in the online store are subject to stock limits. 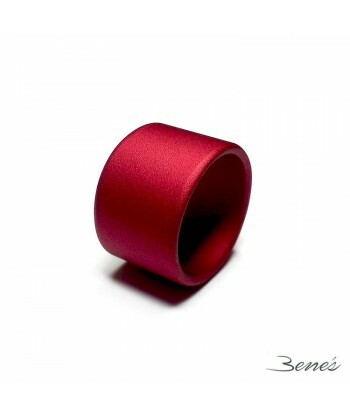 Bearing in mind that they are handmade articles and models are produced in limited quantities to ensure their uniqueness and exclusivity, all orders for BENE’S ARTESANS products are subject to availability. If any of the products are not available once you have placed the order, we will inform you as soon as possible. At that time, you can modify your order or cancel it. Notwithstanding the foregoing, BENE’S ARTESANS reserves the right to withdraw any product from this website at any time and to remove or modify any material or content therein. Although we will always try to process all orders, exceptional circumstances may arise that require us to refuse to process an order even after having sent to the CUSTOMER the email confirming the order. Therefore, BENE’S ARTESANS reserves the right to do so at any time, at our sole discretion. BENE’S ARTESANS shall inform the CUSTOMER, as soon as possible, of any unavailability of ordered items. The following procedure has been established for purchases on the BENE’S ARTESANS website, which may be made in Spanish or English. Once you have selected the BENE’S ARTESANS product or products, you must add them to the bag included on the website, indicating the number of units you wish to acquire. Once the user has introduced their details they will access Delivery Details, where they will be able to revise and/or modify their delivery and billing information. And will then proceed to Order Confirmation where they shall see the delivery and billing address, method of payment, terms and conditions of purchase should be accepted and proceed by clicking on the “Buy” button. Shipping and delivery deadlines: BENE’S ARTESANS products are delivered worldwide through a courier service. Your order will be delivered within ten (10) working days from the moment in which we have confirmed the order. For security reasons, BENE’S ARTESANS will not send any order to post office boxes or military bases, nor will orders be accepted when it is impossible to identify the order recipient or their address. Delivery costs: Delivery costs vary by destination. On the website will be indicated if there is additional charge for the shippping and will be clearly shown. These costs will be included in the summary at the end of the buying process. Delivery problems: You must notify BENE’S ARTESANS if you have not received your order after more than ten (10) working days. If it is impossible for us to make the delivery, the courier service will contact you again to arrange a new delivery date. When you receive your order, you must verify that everything is as requested. If there is any discrepancy or problem with the order, contact BENE’S ARTESANS through the contact e-mail address and provide us with your personal details and the order number, indicating the discrepancy or problem. We will contact you as soon as possible to resolve the incident. The user takes ownership of the BENE’S ARTESANS products when you receive the shipping confirmation and the product leaves from our warehouses. Liability for the BENE’S ARTESANS products is transferred to the user as soon as the order is delivered. BENE’S ARTESANS complies with the regulations required by the payment methods we offer PayPal and Bank Transfer. BENE’S ARTESANS accepts payments made via credit or debit card (Visa, Visa Electron, MasterCard and American Express through PayPal). To ensure the confidentiality of transactions, these are made through SSL (Secure Socket Layer). The payment details are transmitted directly through a secure gateway enabled by the bank. When you make the payment over a secure payment gateway, the system will automatically verify that the credit card is activated for Secure Electronic Commerce. The issuing bank will authorize the operation. BENE’S ARTESANS reserves the right to personal data and take appropriate measures in order that the goods are properly delivered. BENE’S ARTESANS at any time will know the bank details of the CLIENT. The prices on our website are shown in Euro and Dollar for all countries. In accordance with the applicable legislation, any purchase made on our website is NOT subject to the Value Added Tax (VAT). Prices will NOT include the applicable tax at any given time. Depending on the country of destination of the shipment, a fixed cost will be added to each order for packaging and shipping. Such an additional cost will be shown on the website. Every country has their own import laws, you might be required to pay local duties and costumes taxes. Import taxes, customs and other related expenses for International orders, are not included in the final purchase price or shipping cost. BENE’S ARTESANS has no control over these tax policies that vary by country. Please contact to your local costums office. The costs generated by ruties and customs taxes, will be covered by the Costumer. For security reasons, you cannot place orders in excess of 2.000€ nor containing over 10 items within 15 days. If you are interested in making purchases in excess of that amount or quantity, please contact our customer support service by e-mail: info@benesjewels.com. Manner and period for the exercise of such right: The CUSTOMER may freely withdraw from the contract of sale and return the item without giving any reason, within seven (7) business days from the day of receiving the item. The date on the receipt proving delivery of the item serves the purpose of calculating the said period of seven (7) business days. The exercise of the right of withdrawal shall not be subject to any formality, it being sufficient that it is achieved in any manner permitted by law. The product must be in perfect condition (brand new, unused, with its labels, and in its original packaging). The exercise of the right of withdrawal by the CUSTOMER does not involve imposing any penalty. Such withdrawal shall not apply in non-EU countries. The CUSTOMER shall pay the direct cost of returning the item. Therefore, any returns by collect on delivery will be rejected. Again, in any case we will refund the shipping costs. The risks of loss, deterioration, impairment or damage of the item to which the withdrawal refers, are the responsibility of the CUSTOMER until its delivery at BENE’S ARTESANS. To exercise the right to withdraw, the CUSTOMER may contact BENE’S ARTESANS through the Contact section of the website, or send an email to info@benesjewels.com, stating his/her intention to return the item. Once received, we will provide the delivery address for the item to be returned. Refund in the event of withdrawal: BENE’S ARTESANS shall refund the CUSTOMER the amount paid for the item as soon as possible and, in any event, no later than seven (7) days from withdrawal provided that the item was received by BENE’S ARTESANS in the conditions set out in the clause above. In the event of the returned product having been damaged, its return shall not be accepted and BENE’S ARTESANS shall not refund the CUSTOMER the amount paid. To make a complaint CUSTOMERS can contact BENE’S ARTESANS through the Contact section of the website, or send and e-mail to info@benesartesans.com. If a CUSTOMER complaint is found to be justified after checking an item, BENE’S ARTESANS will either notify the CUSTOMER of the item’s repair, the cost of which shall be borne by BENE’S ARTESANS, or the item’s replacement for one that is identical if repair is not possible, within the established terms by the Spanish current legislation. Any defects, scratches and/or stains on the item caused by carelessness, misuse or mishandling, or wear caused by normal use shall not be considered as justified complaints. The period for making a complaint shall be established by the Spanish current legislation. If you receive an erroneous order or a defective product, we ask that you contact us immediately, within 24 hours, at the following e-mail address, indicating the error or defect, along with your personal details: info@benesjewels.com. BENE’S ARTESANS has taken and will take all appropriate technical and organizational security measures, which are required under the provisions of the current legislation and existing quality standards in the sector, in order to ensure maximum security and confidentiality in communications and of the personal data and thus avoid their alteration, loss, processing or unauthorized access. However, the user is aware that BENE’S ARTESANS can not guarantee absolute security over them, as any online security measures are relatively fragile. Therefore, BENE’S ARTESANS is not responsible for any damages and/or harm and/or profits lost to the user, or any other third party who is adversely affected in that regard, arising from unlawful acts of third parties. The user guarantees the authenticity of all data sent via the Website and shall keep the information provided to BENE’S ARTESANS updated, so that it corresponds at all times to actual data, the user being liable for the false or inaccurate statements that he/she makes, as well as for the damages this causes to BENE’S ARTESANS or third parties. These Terms and Conditions of Sale constitute the entire agreement between the parties concerned. In the event that one of the clauses of these Terms and Conditions is null and void, this shall not affect the remaining terms and conditions. These Terms and Conditions shall be governed by Spanish law. For the resolution of any issues, disputes or differences that may arise in the performance and interpretation of this Agreement, the parties shall submit themselves to the Spanish Courts. The CUSTOMER, by virtue of his/her acceptance of the Conditions of Use and Condition of Sale, expressly waives any jurisdiction that might apply to him/her by submitting to the Courts of the city of Barcelona. Contemporary jewelry featuring an organic modeling style available in a wide range of exclusive and unique designs. Author jewelry made only with fine metals combining different creative processes. Linked to contemporary art, we have evolved naturally in modern jewelry design creating goods and experimenting with a variety of precious and semi-precious metals such as other chemical elements of the periodic table. Bene's is just the result of a mixture of enthusiasm, creativity and perseverance, closely linked to the cultural explosion of our time. Our passion for the origin of the form and the changes it undergoes by natural processes has led to the development of an unusual handmade jewelry where design and modeling of the metal is produced in conjunction with erosion and oxidation processes showing textures and shapes that somehow brings it back to its essence or more primitive state. Copyright © 2016 Bene’s Artesans. All rights reserved.